Kazakhstan, a former Soviet republic in Central Asia that has been under the leadership of President Nursultan Nazarbayev since independence in 1991, has proven that a mostly Muslim nation can be active on the international scene. Unfortunately, due to sales rights restrictions, we cannot offer Islam Without A Veil for sale in your country. Kazakhstan, a former Soviet republic in Central Asia that has been under the leadership of President Nursultan Nazarbayev since independence in 1991, has proven that a mostly Muslim nation can be active on the international scene. Its leaders have worked fervently to bridge the ugly schism that has developed since the 9/11 attacks and the subsequent invasions of Arab and Muslim lands byWestern forces. 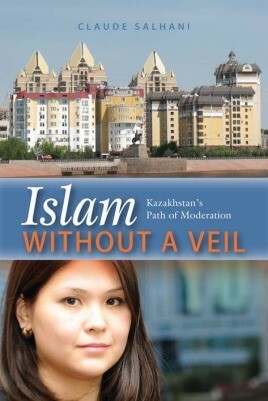 How has Kazakhstan been able to maintain its Muslim heritage yet remain on track toward modernization while other Muslim countries have imposed strict Shari’a law upon their citizens, clamped down on individual freedoms, and persecuted all who do not adhere to the diktat of the ruling theocracy? Claude Salhani examines the successful phenomenon of Kazakhstan today.He looks at the progress it has attained in just two decades since independence. While there is no doubt as to the Muslim identity of the country,Kazakhstan is living proof that there can be a “kinder, gentler” mode of Islam, in which one can live at peace with oneself and with one’s neighbors, despite their differences.